This is northern Italian cuisine, which the menu tells me is influenced by nearby Switzerland and Piedmont. 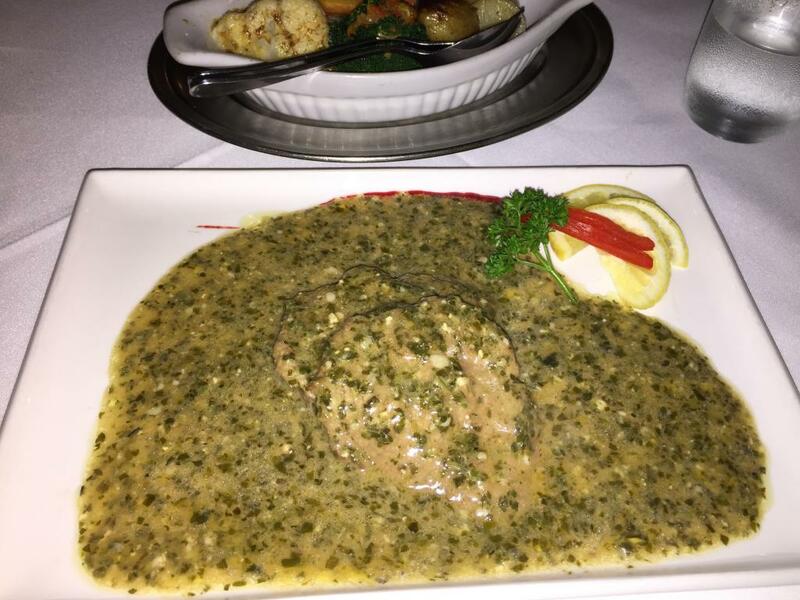 A Genovese specialty of sautéed veal slices in lemon juice, with an aromatic sauce of finely chopped basil, spinach and pine nuts. This is one of the least visually appealing dishes I have ever been served. And yes, that is a streak of blood at the top. However, it has a very pleasant taste. There's really not much meat here, but it's soft and mild. The pesto is only slightly basil-y (I'm used to pesto being a weapons-grade concentration of basil), but it adds a mild and pleasant taste to the meat. The small slices of lemon add a slight tang that works well here. The side serve of vegetables is among the best I've had. It's just vegetables, but it's in an unknown but very tasty salty, buttery, herby sauce. 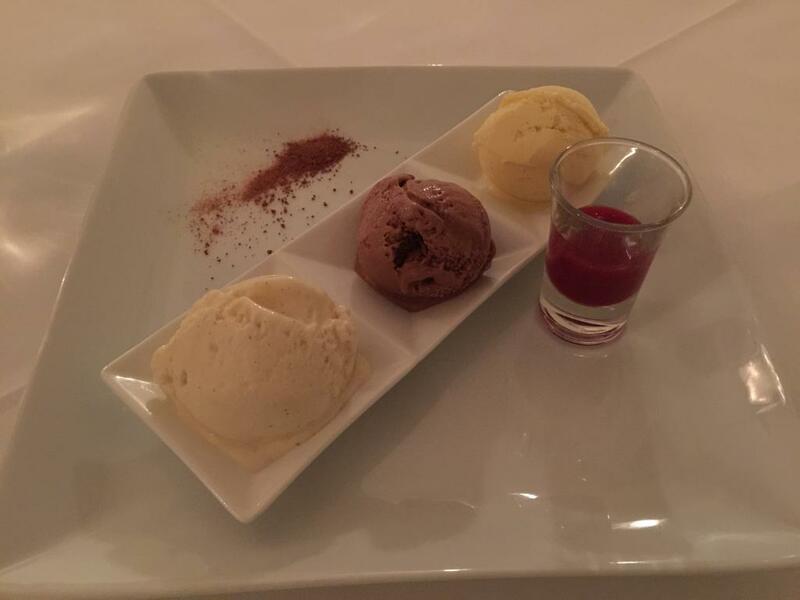 Gelato prepared on the premises & served in assorted flavours with a berry coulis. This is soft and almost cream-like. It has a genuine natural vanilla flavour. Mocha and chocolate: I try to guess what this tastes like in advance, but I'm way out. This strongly evokes Christmas pudding. I'm sure there's some brandy in here. Fast feed. Both courses served in under five minutes.